Dr. Carlos F. Villamil received his MD diploma from the Colombian Medical School in Bogota, Colombia in 1990. He underwent residency training in Anatomic and Clinical Pathology at the Beth Israel-Deaconess Medical Center, a major teaching hospital of Harvard Medical School, in Boston MA (1993-1997). 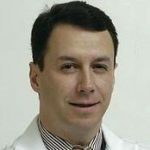 He subsequently completed fellowships in Surgical Pathology (1997-1998) and Cytopathology (1998-1999) at Hartford Hospital, in Hartford, CT. Dr. Villamil is certified by the American Board of Pathology in Anatomic Pathology and Cytopathology. During 2003-2005 he was appointed Head of Pathology and Laboratory Medicine at the Fundacion Santafe de Bogota University Hospital in Bogota, Colombia. Upon returning to the US, Dr. Villamil focused his practice in GU pathology and cytopathology. He is currently a consultant surgical pathologist and cytopathologist at the British Columbia Cancer Agency, Vancouver Centre. Areas of interest: GU and endocrine pathology, and cytopathology.